All the world’s a stage for the tourism industry next month. The UK travel trade has a date with the Bard on Monday 21st March in his home town of Stratford- upon- Avon. 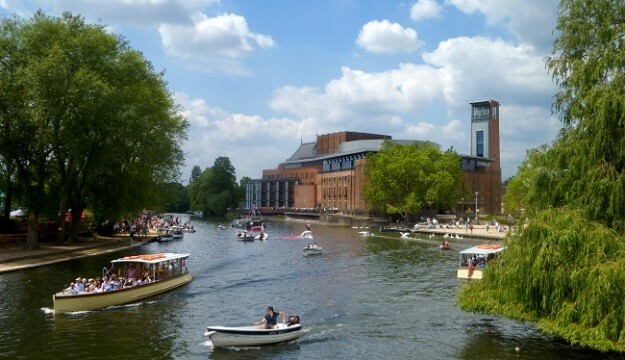 Arranged by key tourism player Steve Reed Tourism of Hampshire, the Group Travel Marketplace event will take place at the Royal Shakespeare Company’s brand new site – The Other Place – from 10.30 until 14.00. There are still free places to be snapped up by tour planners from around the UK although a full house is confidently expected. The event has been organised in conjunction with Shakespeare’s England, the Royal Shakespeare Company and the Eden Hotel Collection. Attracting coach and tour operators and group travel organisers from all over the country, the Marketplace event aims to provide new group bookings for hotels, attractions and destinations – lots of new coach visits will be the result say the organisers. The new Other Place, based on Southern Lane, will feature a 200-seat flexible studio theatre, two new rehearsal rooms, and a new home for the RSC’s 40,000 piece Costume Store, and a new café bar that will be open throughout the year. As well as working with the Royal Shakespeare Company, Steve Reed Tourism are collaborating with the nearby Arden Hotel – one of the Eden Hotel Collection of hotels. Some of the tour operators visiting the Marketplace event will be hosted at the hotel on the night before the event. A visit to the very popular Compton Verney Art Gallery, Estate and House and Gardens will be another incentive for the tour planners attending the Group Travel Marketplace.